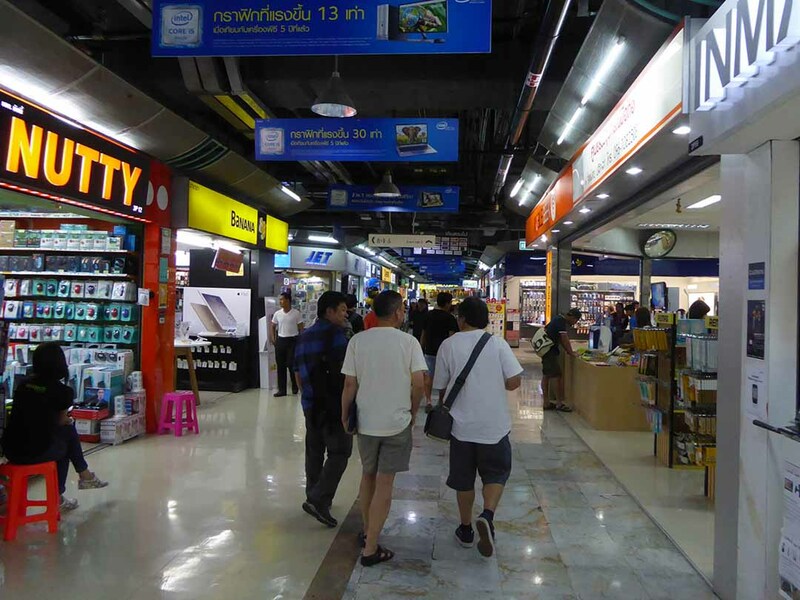 Fortune Town is central Bangkok’s other IT mall popular with expats and Thai’s who prefer it to Pantip. It’s located on Ratchadaphisek road opposite Central Plaza Rama 9 and looks bigger from the outside than it is. 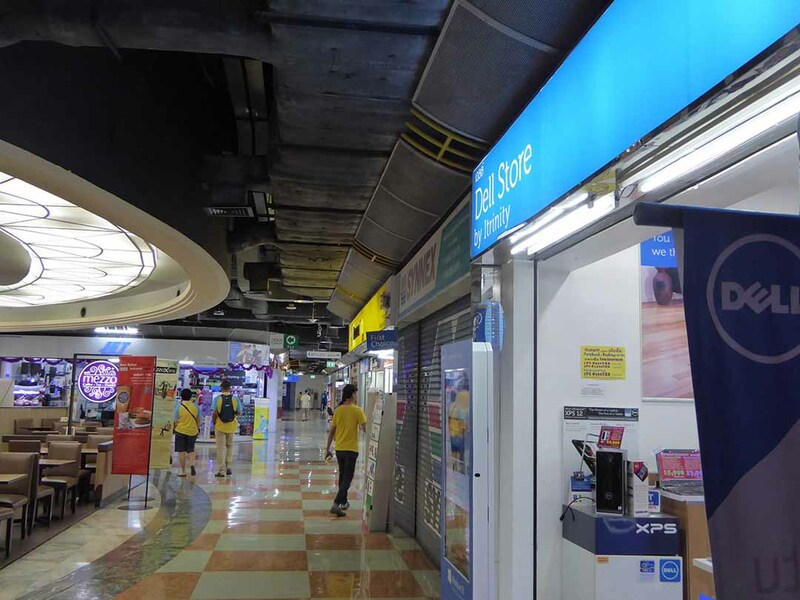 The IT shops are located on two long narrow arcades on the 3rd and 4th floors which lead into a circular court area which hosts a discounted sale area. 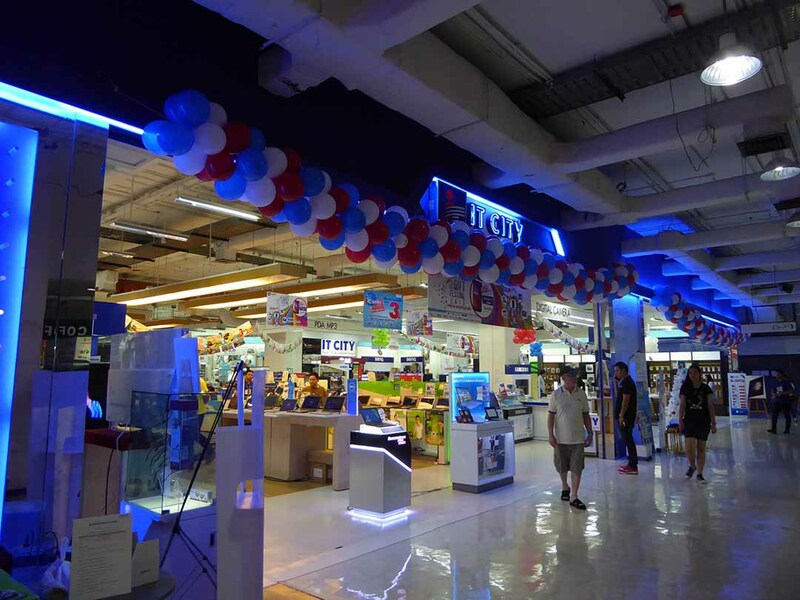 There is a large IT superstore called IT City on the 4th floor with Thai IT chain stores, and hundreds of independent shops filling the rest of the space. The products on offer include new and second-hand computers and hardware as well as digital cameras, tablets, mobiles, printers, games consoles, software, computer games, and accessories. 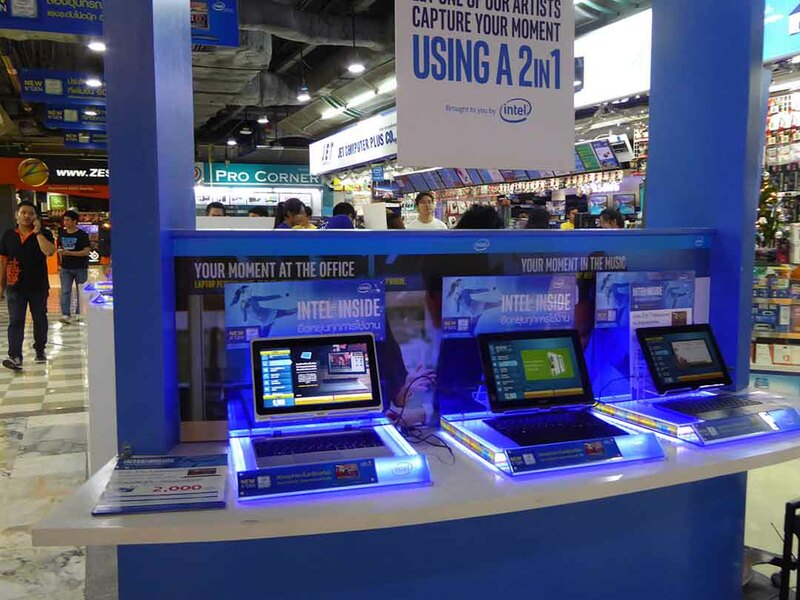 There are also shops that carry out repairs and modifications and several major IT brands have a service center here. 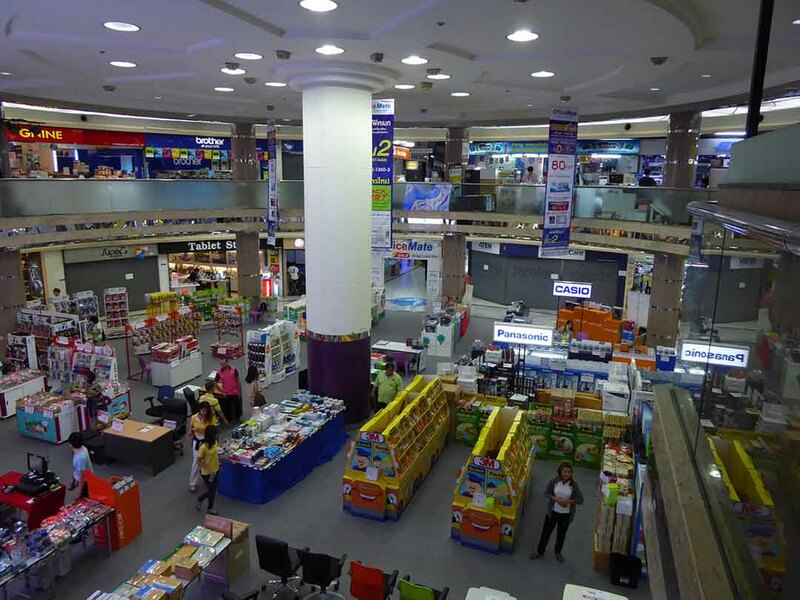 There are a few shops selling copy software and movies usually from attached back rooms which may or may not be open when you visit. 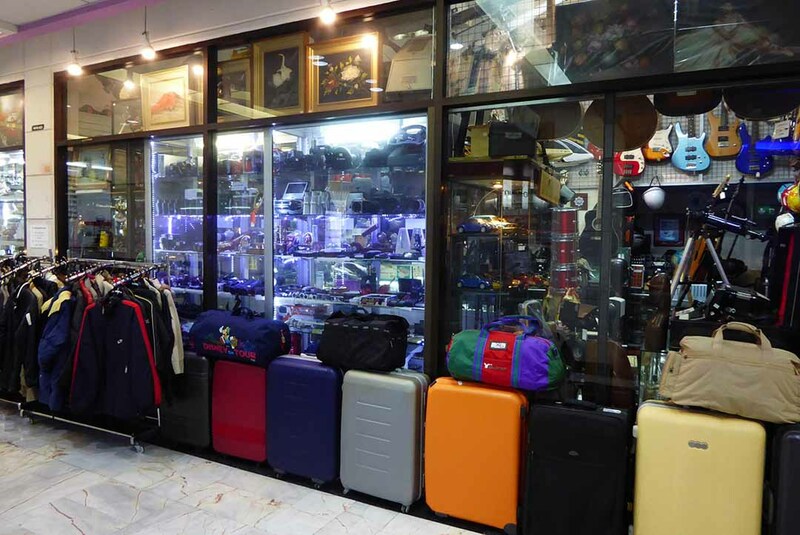 On the second floor are mobile phone stores, camera and photography equipment and accessories, high-end audio hardware shops, a classical music shop, a collection of shops selling vinyl, and CDs and a Used shop selling a wide variety of 2nd hand items. The ground floor has a large Tesco superstore with a food court, convenience stores, cafes, fast food restaurants, pharmacies, and banks. Another food court is in the basement. 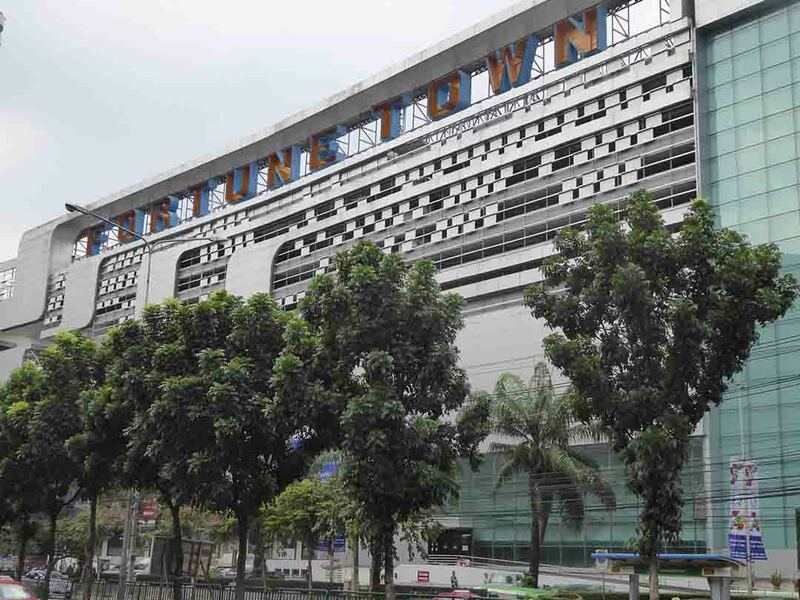 Fortune Town is right next to MRT Station Rama 9. Location: 1 Ratchadaphisek Road, Bangkok.